I arrived in Krakow a week from last Thursday and stayed in a nice, quite hostel until Sunday. There were nice sunny days until Sunday, and all last week was cold, windy, and rainy, but I didn’t mind, I am overly busy with web design clients. I did some site seeing on Saturday and viewed the old ghetto and the area of the Plaszow concentration camp. I will also tour Schindlers factory and of course make a trip to Auschwitz. 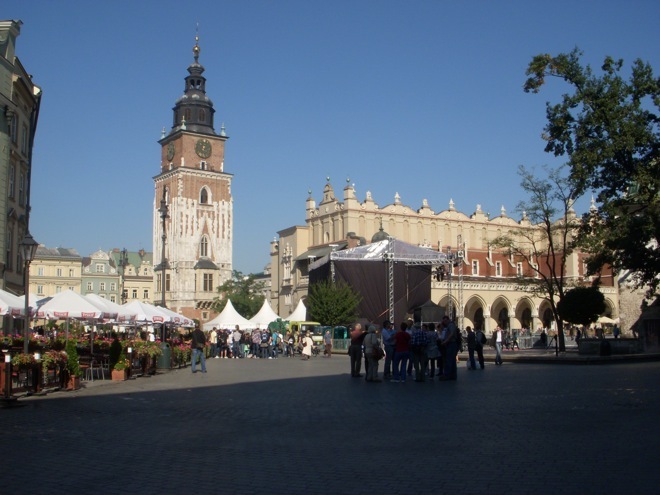 Krakow is the second largest and one of the oldest cities in Poland. Its historic centre was inscribed on the list of World Heritage Sites as the first of its kind. 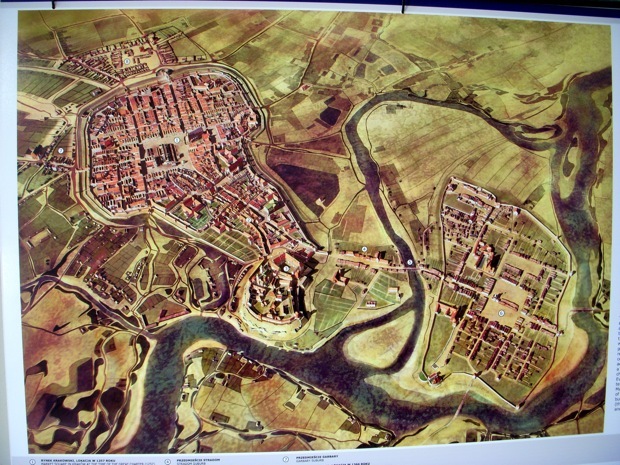 Situated on the Vistula River in the Lesser Poland region, the city dates back to the 7th century. In 1978—the same year UNESCO placed Kraków on the list of World Heritage Sites—Karol Wojtyła, archbishop of Kraków, was elevated to the papacy as Pope John Paul II, the first non-Italian pope in 455 years and the first ever Slavic pope. After the invasion of Poland by Nazi Germany at the start of World War II, Kraków was turned into the capital of Germany’s General Government. The Jewish population of the city was moved into a walled zone known as the Kraków Ghetto, from which they were sent to extermination camps such as Auschwitz and the concentration camp at Płaszów. The 1993 November 30th release of the three hour Schindlers List was filmed here in Krakow. Shooting for Schindler’s List began on March 1, 1993 and continued for seventy-one days. The crew shot at the real life locations, though the Płaszów camp had to be reconstructed in a pit adjacent to the original site, due to post-war changes to the original camp. The crew was forbidden to enter Auschwitz, so they shot at a replica outside the camp. When touring the area of the Ghetto and Plaszow you will view the area quite different than how the it was portrayed in the movie. Today the camp is an over grown field of weeds, trees and grass. The Commandants house is not situated on a high hill as in the movie. However, without the trees, the view to shoot the prisoners from the balcony most likely is the reality. It is said that Amon Goth shoot the prisoners for sport. I will be renting this room for another week, then traveling to some more locations in Poland, and then make my way to Germany with a possible detour to Czech.